We make businesses look great online with amazing websites, engaging social media posts, top search positions and reputation management. Get your FREE reputation snapshot report here. JAZ Design Company is a full-service website development, search engine optimization, software development, social media management and hosting company. Since 1999, the primary goal of JAZ Design Company has been to meet the needs of our clients. Search engine algorithms are always changing and so do our techniques. We use ethical methods to rank our clients websites for targeted search terms. Projects can be locally focused, regional or national. The cost is relative to the target market and how competitive the niche is. 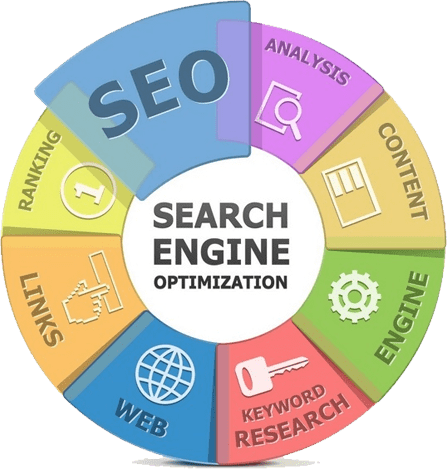 Our techniques have been successful in achieving top rankings for targeted search terms while increasing traffic to our clients websites. Since 1999, we have been optimizing websites and successfully increasing search engine placement for our clients. To learn more contact us and we will provide a free quote and keyword analysis for your project. Promoting your web site is very important. There are a number of ways to drive traffic to web sites. We create responsive websites that adapt to the browser and device it is viewed on, whether it is a desktop, smartphone or tablet.Our designs convert visitors into leads through thoughtful design that appeals to your target audience and captures visitor information through calls to action. We have helped small companies with basic websites, online retailers with customized e-commerce shopping cart solutions, and large firms and manufacturing companies with state-of-the art website designs. Our Social Media Management services allow you to maintain a business presence on one or more of the major social media platforms. We help you carry your branding, voice and message into social media where you can interact and engage with your current and potential customers, keeping your business current and ahead of the curve.